Kirk Hammett solos on a 12-string acoustic. Metallica have uploaded a video capturing an acoustic performance of their 1986 hit, “Disposable Heroes”. This was part of a rare unplugged set they played last month, titled All Within My Hands Helping Hands Concert & Auction. The set, held in benefit of the band’s All Within My Hands charity, saw the band ditch their usual high-voltage setup for a fully acoustic one. 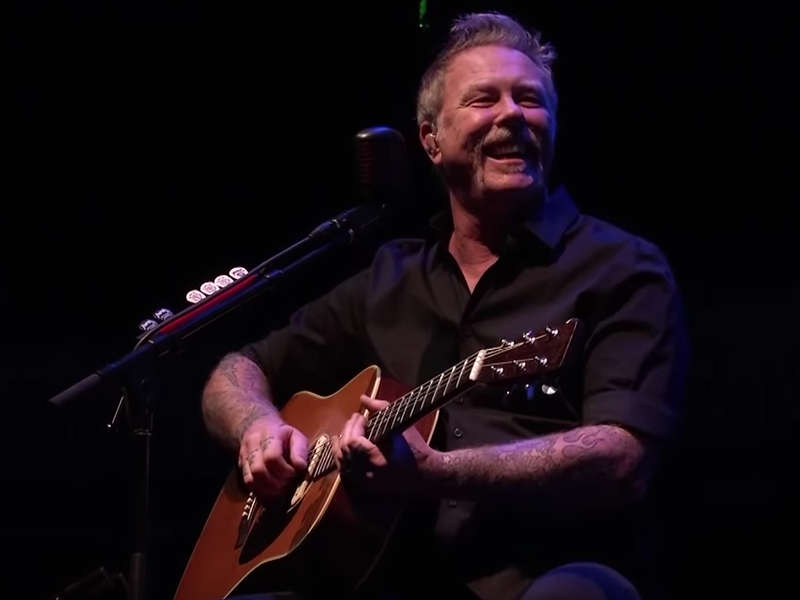 Frontman James Hetfield cut a relaxed figure as he chugged the war-themed melody – but the standout of the performance had to be axeman Kirk Hammett’s masterful solo on a 12-string acoustic. “Disposable Heroes”, along with 11 other acoustic tracks recorded at the concert, will feature on a limited-edition vinyl album entitled Helping Hands… Live & Acoustic at The Masonic. LP pre-orders at $34.99. More information at metallica.com.